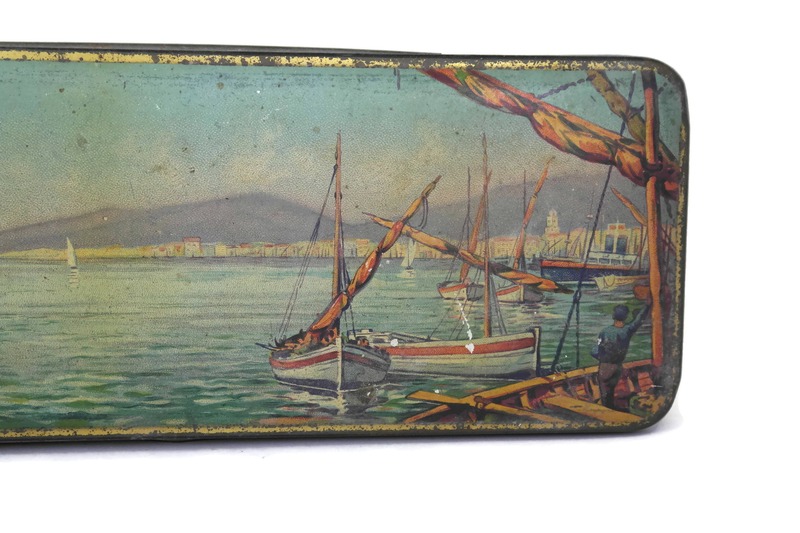 Vintage Tin Box with Sailing Boats. 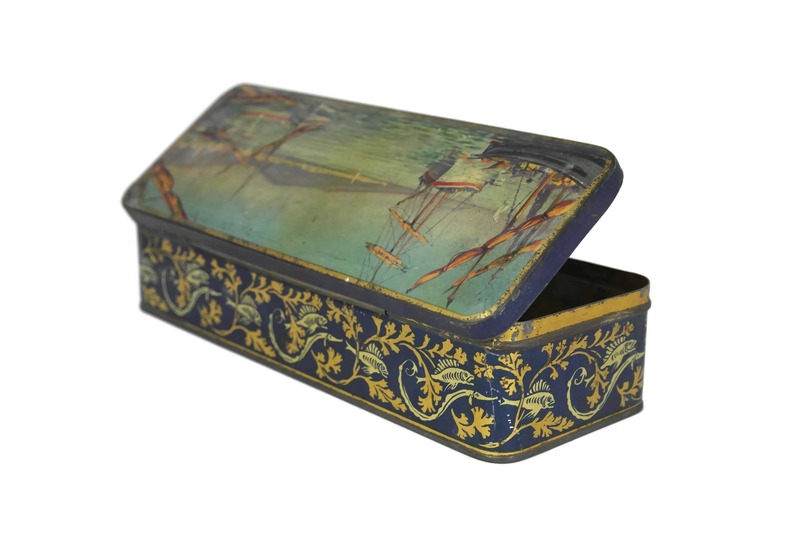 Shabby French Candy Box with Coastal Decor. 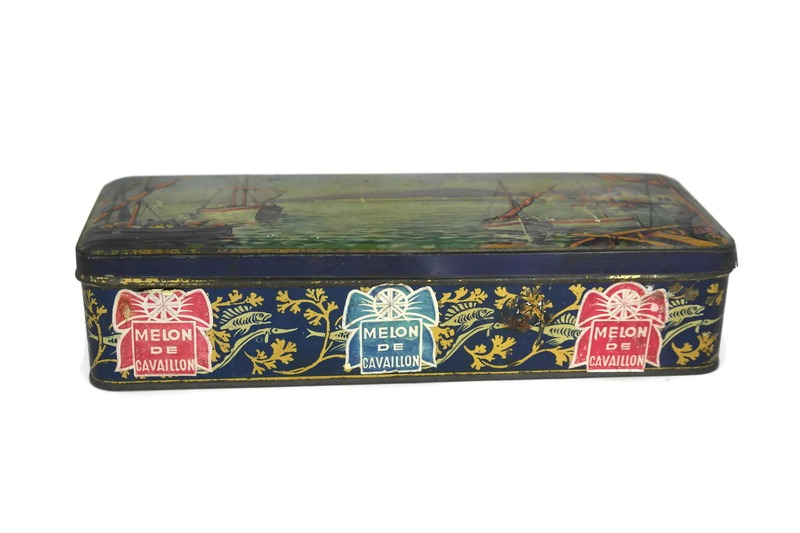 Cavaillon Melon Sweet Souvenir Box. 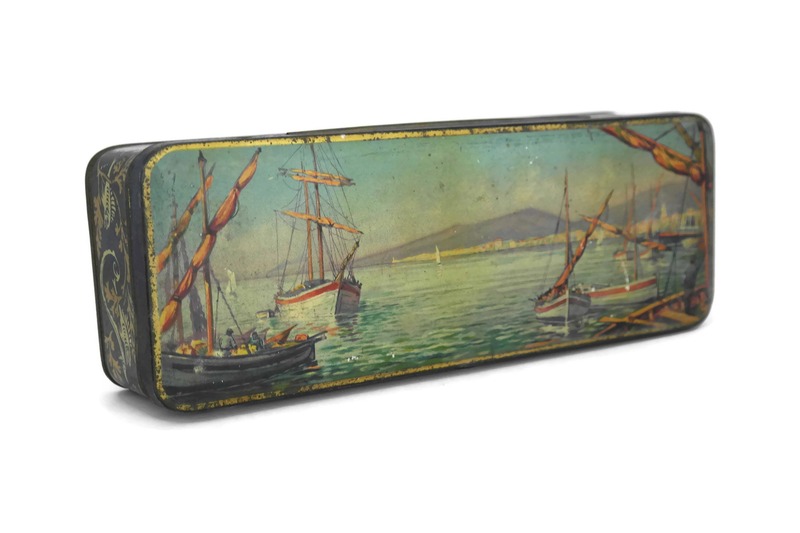 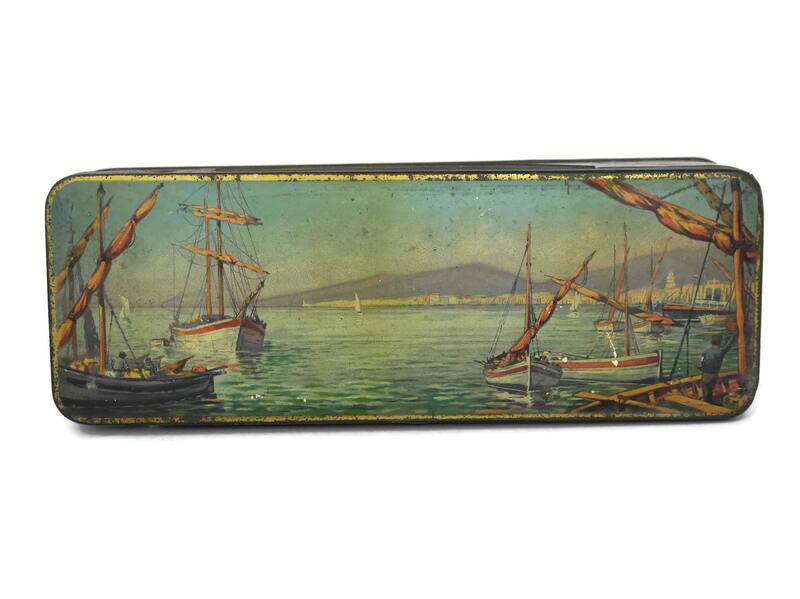 A lovely vintage French candy box decorated with sailing boats in a charming coastal scene. 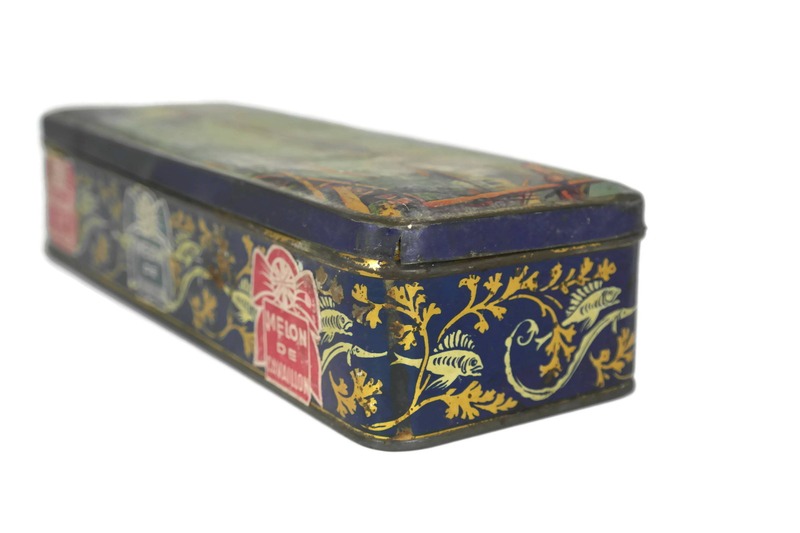 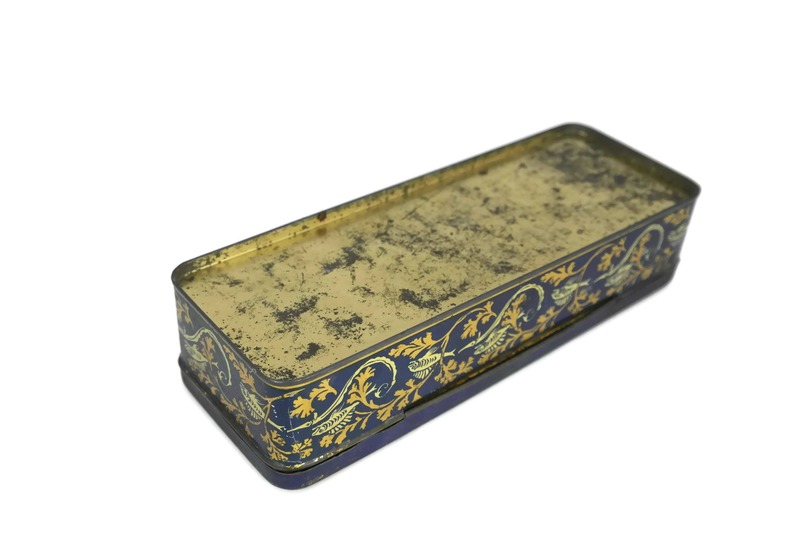 The long tin box has a hinged lid and the sides feature lithograph images of fish and seaweed. 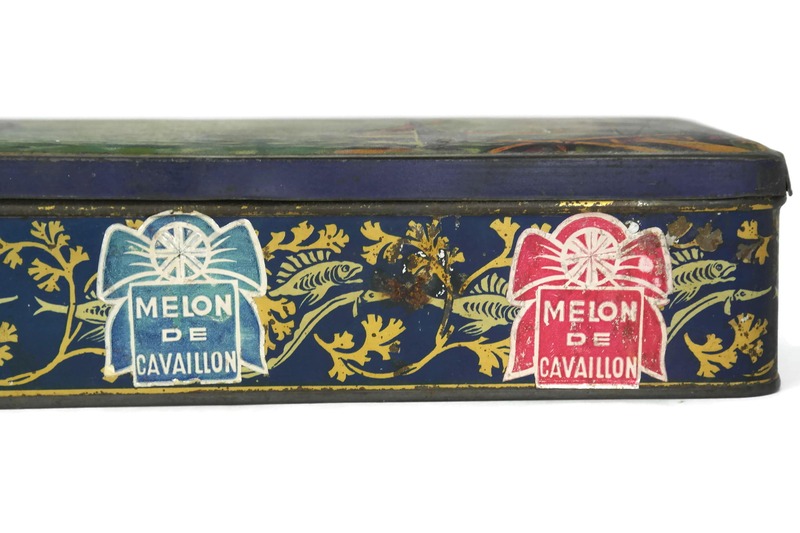 Original labels for famous melon flavored candy from the city of Cavaillon decorate the front of the box. 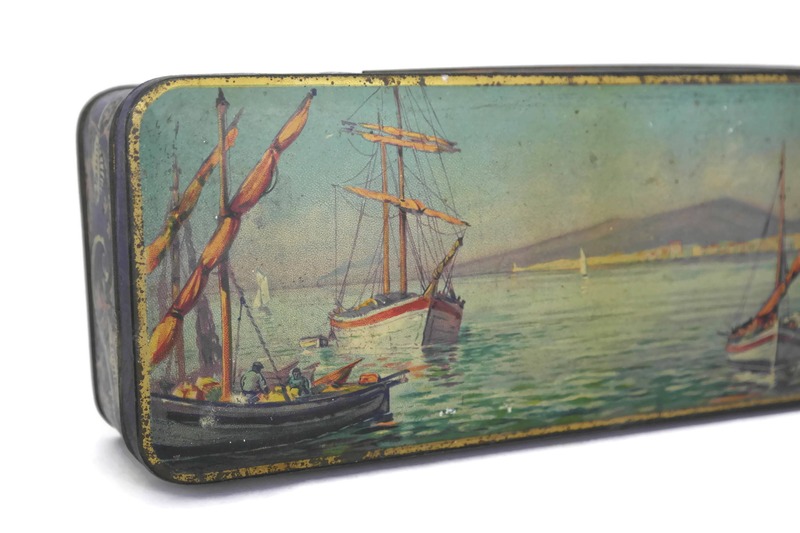 The sailing boat tin box measures 10 1/2" Long x 2 1/2" Tall x 4" Wide (27 cm x 6 cm x 10 cm). 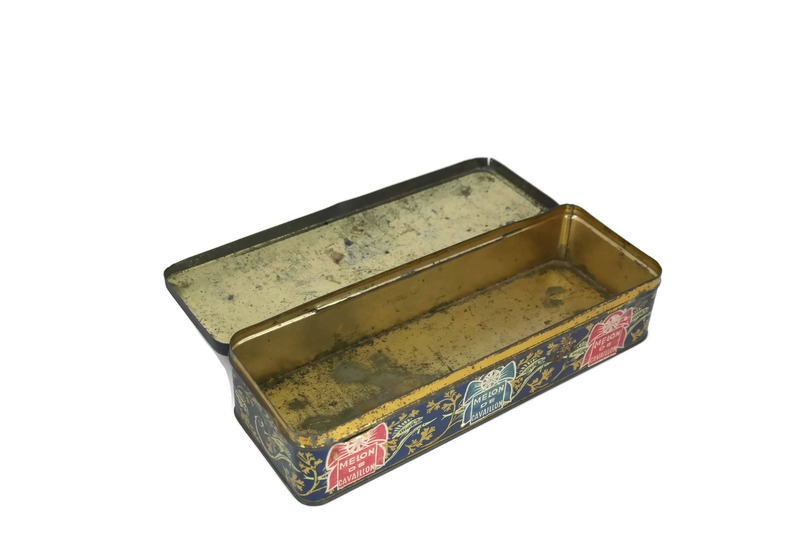 The candy tin box is in fair vintage condition with signs of age including surface wear and marks, light dents and a small tear to one corner of the lid.